Techblade.PH is the leading online magazine for Science and Technology, Research and Development, and Education. In reviewing the Senatorial Candidates for 2016, Techblade.PH has found Senatorial Candidate Raffy ALUNAN (Independent #3) to be the one with a very concise legislative agenda. With credentials such as former Secretary of Interior and Local Government and former Secretary of Tourism, his experience and knowledge is what we may need to develop education in the Philippines. 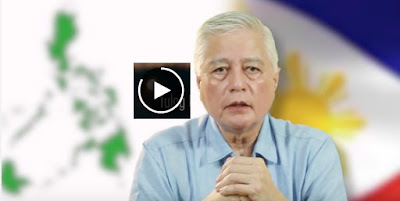 From his video (at 10:00), Mr. Alunan states : "We need to improve the quality of our education, and the quality of our for our youth. Values, Patriotism, good manners, and right conduct, should be instilled in the early years of character formation like it was during my time. The content pushed to the hearts and minds of our youths will be scrutinized and the capability of our teachers enhanced."